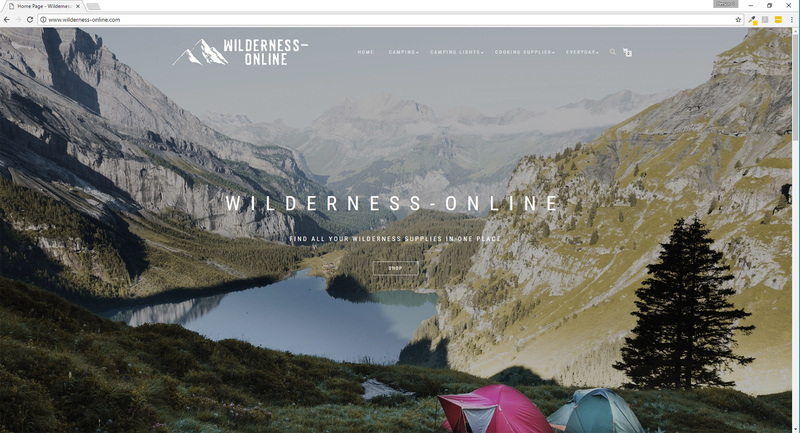 Wilderness-Online is an outdoor gear shop based in Williamsburg, Virginia. 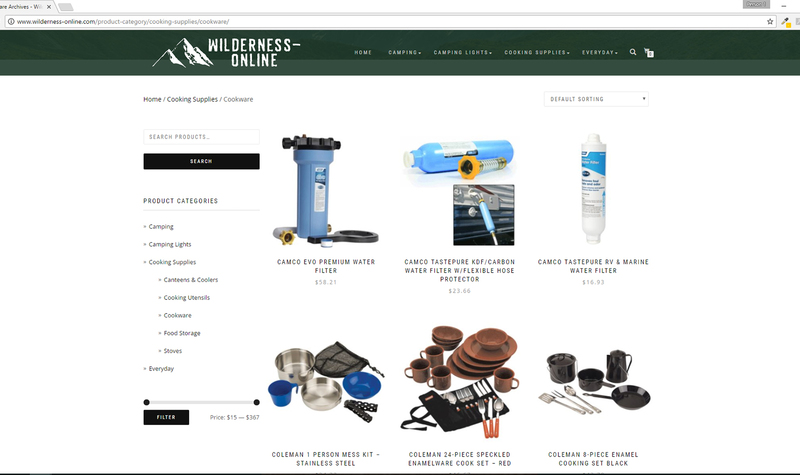 The shop provides those who love to spend time outdoors with hiking gear and camping gear as well as specialized outdoor survival products that they can use when exploring the outdoors. 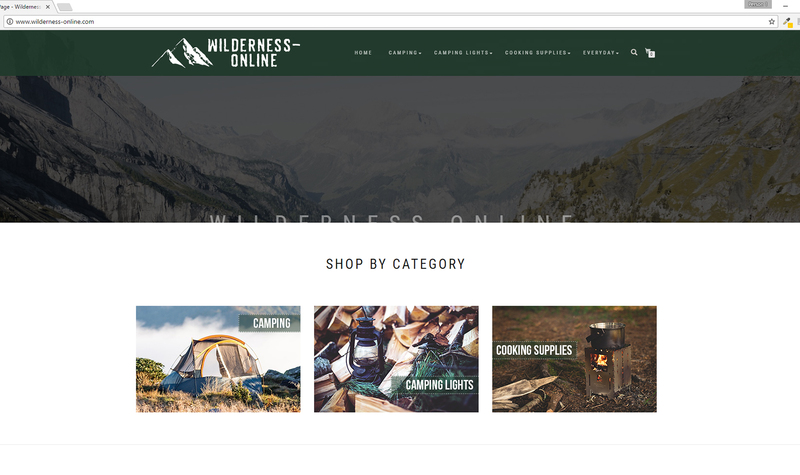 Wilderness-Online wanted a website that captured the beauty of the outdoors and provided customers with top outdoor gear items that would improve the time they spent outdoors. The website was designed with a full color mountain scene on the home page and at the top of each category page to incorporate the beauty of nature into the site design. 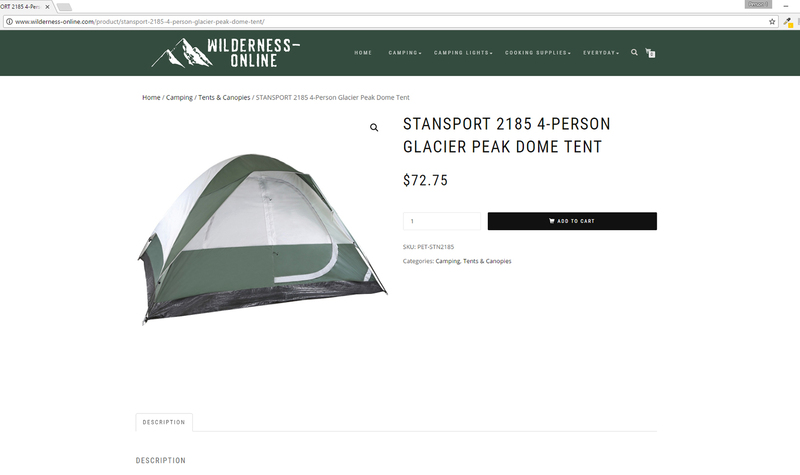 Customers who visit the website will be able to experience the wonder of the outdoors while they enjoy looking through the selection of ecommerce products that will make their own experiences in the outdoors even better. Get a closer look at the website here.